We are the leading organization in the industry to provide our clients the best quality HVAC Designing And Drawing Services. This service is widely appreciated by our valuable clients owing to its perfect execution and cost-effectiveness features. The offered service is performed by our highly experienced professionals using the best grade tools and advanced technology. Provided service is carried out in an excellent manner. Moreover, this service can be availed by our clients at most reasonable price. 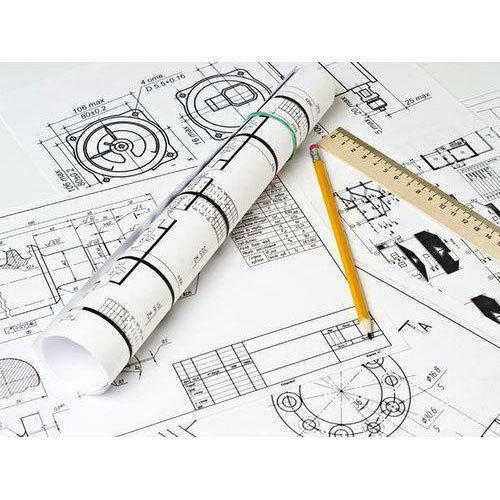 Our team can understand and convert hand sketches, complex paper drawings, hand scribbles and survey notes into CAD drawings. We can also take up your basic concept design ideas and turn them into real drawings. We provide modeling services for customers moving from the 2D to the 3D world. We can assist you in re-creating converting your sketches, ideas and drawing concepts to accurate, hi-quality, detailed, 3D Models. Established as a Sole Proprietorship firm in the year 2018, we “Marut Solution” are a leading Trader of a wide range of Air Conditioners, AC Duct, Air Washer, Exhaust Fans, etc. Situated in Ghaziabad (Uttar Pradesh, India), With the support of our vendors, we are able to provide these products in diverse specifications within stipulated time period. We offer these products at reasonable rates and deliver these within the promised time-frame. Under the headship of our mentor “Mr. Sunny Kumar”, we have gained a huge clientele across the nation. We also provide HVAC Designing And Drawing Services, AC Installation Services, etc.